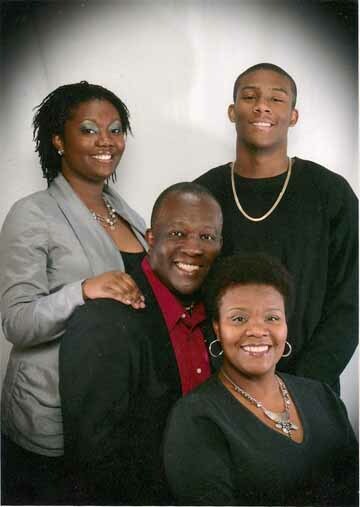 My husband just reminded me that 17 years, 363 days and 24 hours ago, I went into labor with our youngest, Simeon. My daughter, Sara, was born via C-section after a night at Ziggy’s motel. (You can read more about that in an October 2009 post.) My OB/GYN insisted that I’d have to have a Cesarean with my next child as well. But because my first birth didn’t go according to plan, I was determined that I would have complete control over the next one. (I’m a slow learner!) When we discovered that we would have another child I contacted a local midwife, who was also a good friend, and bartered for a baby. My new midwife, Siti, was not a fan of western medicine. She was a tiny, cheerful woman with long dreadlocks which reached her hips, and small, strong hands. She had given birth to 9 children, all naturally and at home, and she assured me that a healthy diet, lots of walking and positive imagery were all I really needed. Siti showed up for home visits armed with jars of kale juice, plates of millet with kelp and an old stethoscope. I’d thank her for the meals, stick them in the refrigerator, and eat ribs instead. That could have been the problem…. During the early hours of labor I was a model hostess — offering my aunt and midwife cool drinks and being very kind to my husband — but when a whole day had passed with little progress, all my southern training slipped away. By hour 24 I was no longer polite. They could get their own drinks. I was not in control. My body was in control and I was just along for the ride. I would doze off between contractions and dream of drugs only to awaken to find that the nice lady in the white dress with the needle full of sedatives was only an hallucination. I forgot I was even having a baby. I began to believe in purgatory. I was sure I was somewhere on the 7th level. And moving down. Twelve more hours. And then, suddenly, there was the most intense feeling I have every had. It was such a powerful force that it seemed to propel every breath every sound and the very essence of my existence from the center of my being outward. I don’t know why it didn’t shatter windows and break sound barriers and thrust everything around us forward on its wave, shaking the world of its axis. And then it passed. Utter calm followed it. Siti handed me a squirmy messy body with a steeply sloping forehead. “You have a son,” she said. I held on to him, floating in that welcome peace. I didn’t know his name, his father would give it to him later. I just knew that there had been a reason for all that had come before and I was holding it in my arms. Later, as Siti was helping me with the aftermath, I could hear Ron talking to his son in the next room as he gave him his first bath. Ron’s warm musical voice welcomed Simeon Othello into the world, thanking God for him and promising to do his best. Eighteen years later the lesson is still being learned. I am not in control. But I continue to thank God for him and I promise to do my best. And I still know there is a reason for all that has come before. When I can, I hold him in my arms. Happy birthday son. Love your blog, big fan of your family! God blesses us in his own way. Just when things seem to get more and more stressful and difficult, God sends us a sign that he is present and loves us very much. I’m happy to see that God has blessed you with a loving family, Natalie and Ron. Having loving family and friends to share lifes joys is one of the most rewarding things in life. I’ve always been amazed at your families talents. Ron and Natalie, you two have heavenly voices, great smiles and the right attitude to bring joy to others and share God’s love with the world. Always celebrate life and let God’s light shine through you to lift up your spirits and those surrounding you. Blessed be this day that the Lord has made! Today you celebrate life and always celebrate life. Celebrate the lives of everyone who touches your heart and have touched your heart all throughout your lives. Without you knowing it, you two have touched my heart with the love that you share everytime I watch Gullah Gullah Island. Seeing others be positive, loving, kind and considerate makes me feel alive, makes me feel that there is hope in this world and makes me want to be a better person. I know God loves me, I know God loves his children, we are all connected because we are his children. I love you all and I’m not afraid to say it and shouldn’t hide it because I love God, I love Jesus and all of God’s children. Never let the world tell you anything differently than how you feel and if you know in your heart that God loves you, shout it out to heavens and world. I’m thankful for everyday that I have with my family, my friends and all the people who have brought a smile to my face. Thanks for the blessings and good wishes Rob. Every now and then I still catch a glimpse of that sweet little face in the man he is now. I wonder if all moms see the baby under the adult? Enjoy your little one. It seems like it was yesterday. The story never gets old. Thanks for the invite Michele! Great Blog Nat! Thanks for sharing… Happy Birthday Sim! Happy Birthday Sim. We love you. Thanks, Gigi. Happy birthday to your little girl today! My 24 yr old daughter,Maria just sent me the link to your blog-all 5 of my kids were raised watching your show,and to THIS day,we still use words and phrases from the show.They also realized how obsessed I was when,,on our way up north to see family (we live in Jacksonville,fl), I tried to find Gullah Gullah Island! Of course,we didn’t,but I still keep searching for it in my heart! I didn’t finish,but I just wanted to say,”tanky-tanky” Mr.Ron and Miss Natalie! Say hi to Binya-Binya pollywog!